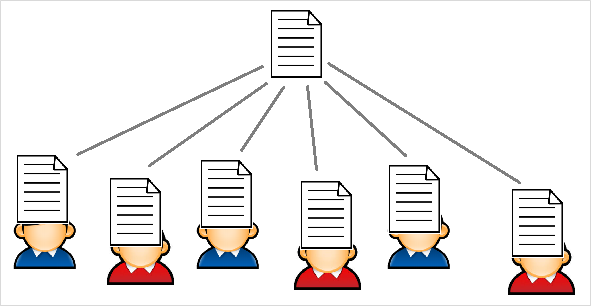 101 ways to share a document. 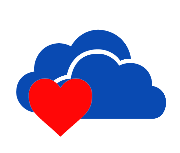 More and more individuals and organizations are starting to realize the beauty of OneDrive for Business, the way it allows you to be always up to date and to be able to always access your information no matter where you are or on what device you are on. This article will delve© into detail on how you can keep the information in one place, instead of spreading multiple copies and versions around like we have always done using email as the sharing method of choice (Not to mention USB sticks). As you all most likely know, every time you send an email with an attachment of one of your files, a new copy and possible a new version of that document is created, it happens out of your control as well and this is not something that we want, it has simply been the only way to share, externally for sure and internally it has been the easiest way for the lazy. Now, what has changed? What’s new? 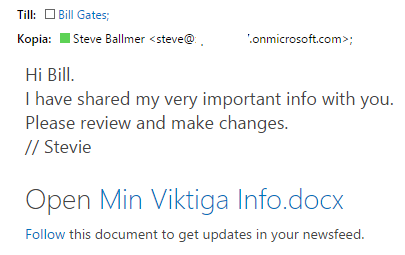 What’s so special with OneDrive for Business so that we can share thru some kind of Microsoft magic and files never have to be sent in email? What’s up with that? 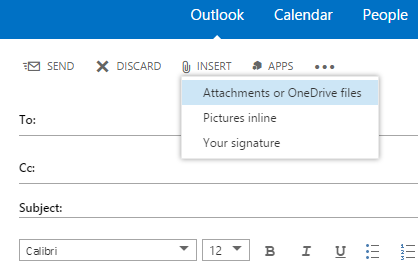 Well, implementing OneDrive for Business as a part of Office 365 is one step, you can however still work like you always have…removing the old Home directory and the Shared folders is another. You can however still work like you always have, sending attachments using email, but, these steps will allow you and your coworkers to adopt a new way of doing things, a better more secure and controlled way to work. Modern sharing, one original, no copies. Everyone reads or edits the same file. 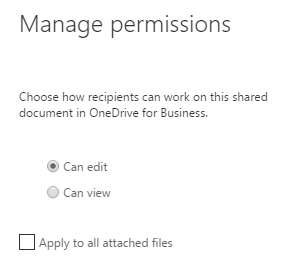 But enough of that, now I will show you where you can share a document from your OneDrive for business. 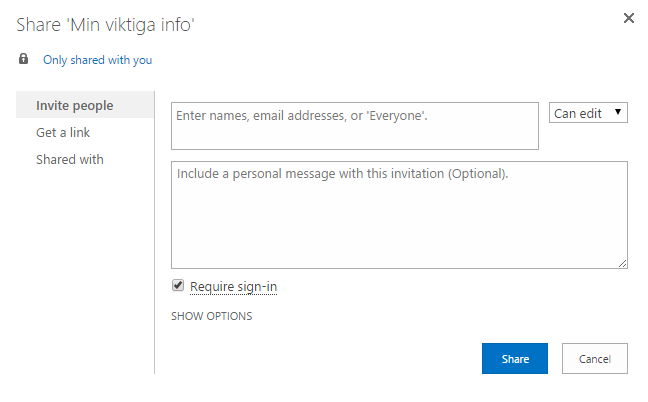 First off, there is a setting that are configured globally in the SharePoint admin portal of Office 365 that we need to know about. 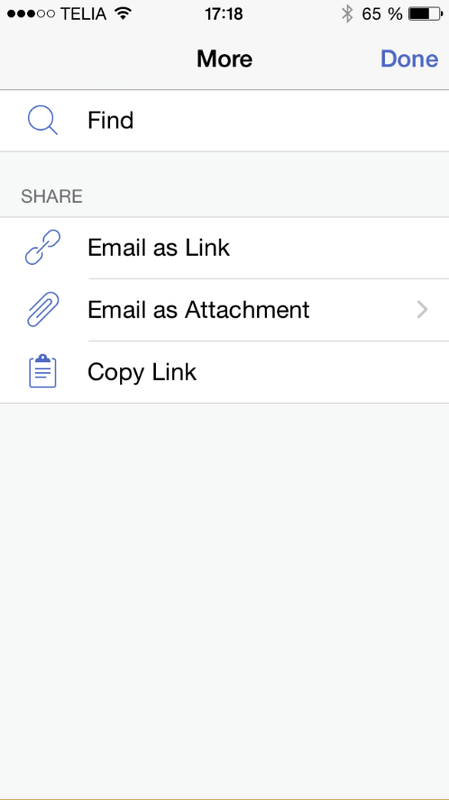 External Sharing, there are 3 levels to select from. Can be set on the tenant or per Site collection. This setting can only be configured by a Global Office 365 Administrator. (Note also that if you restrict sharing on the tenant, then you cannot allow it on the site collection level) When these are set, you can start sharing. 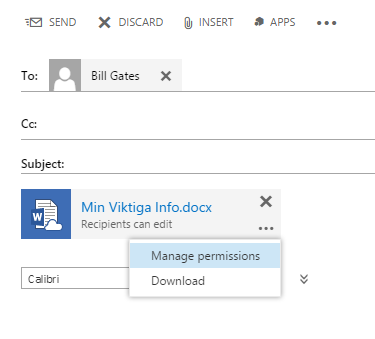 It is more or less the same experience everywhere, the web dialog for sharing a document looks like this, from here you can share with internal users as well as external users, and all you need is an email address. As you can see, the checkbox for ‘Require sign-in’ is checked by default, unchecking that allows anonymous access to this document. This checkbox is only available if anonymous sharing is enabled at the tenant and at the site collection level. The names can be internal users by name or email address, it can be external users by email or it can be everyone. Under SHOW OPTIONS you have the option to not send an email at all. Clicking the link takes the user straight to the shared file, in its location. 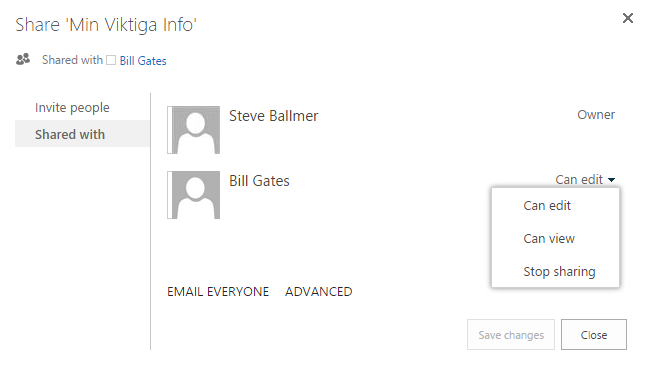 Under Shared with, you can see who currently has access to this document. 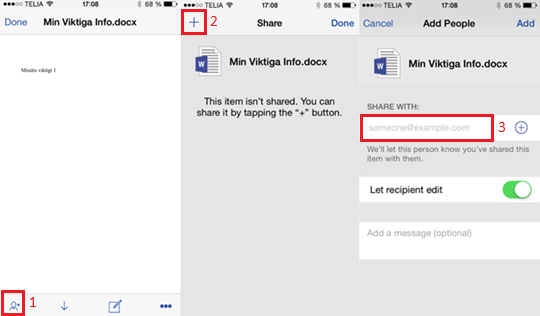 When a document is shared, you can also see that the little user icon is replaced to show that someone else besides you now also has access to this document or this file. 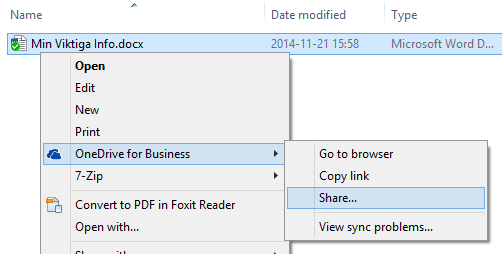 Unshare the file again by clicking on that icon and in the Shared with dialog, select Stop sharing and save Changes. After a quick refresh, you will see that the little icon is back to the Padlock. 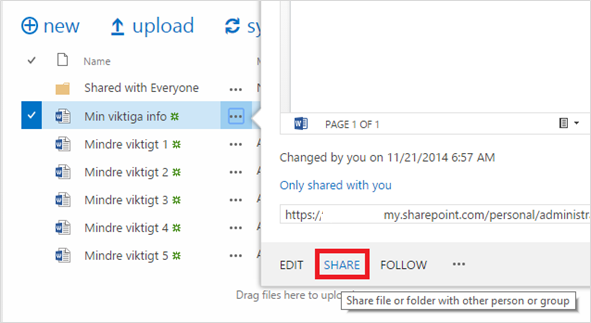 This is how you share things in the OneDrive for Business Online, it is very similar in SharePoint Online (A few exceptions like unsharing differs). Note that the file is not sent as an attachment unless you specifically choose to do so. 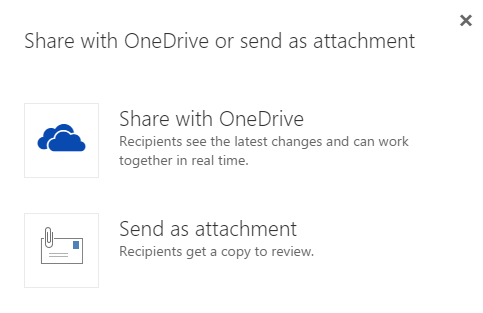 It only looks like an attachment, the file never leaves your personal OneDrive for Business. LabCenter – you guys always publish my articles!